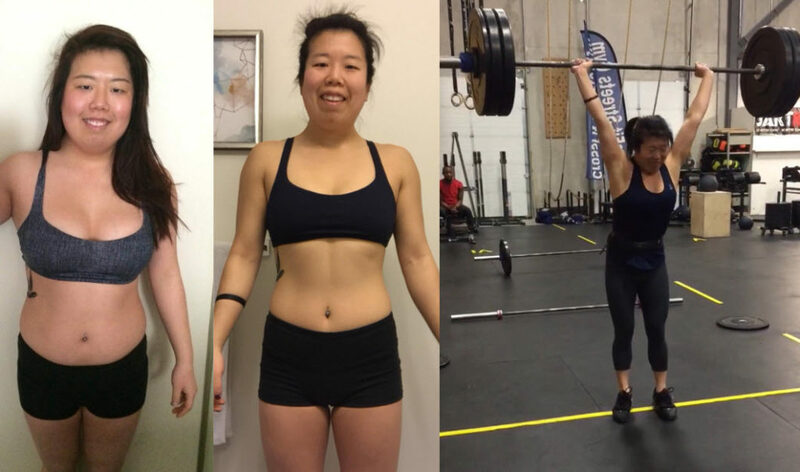 “Pre CrossFit while attending university I attempted going to the gym multiple times without much success. There was fear in touching a barbell, dumbbells, and various machines mainly because I had no idea what proper technique was which resulted in me sitting on a bike or going for light jogs on the treadmill every time I went. Body pump classes helped give me an idea of what moving weight at a higher intensity felt like, but the intimidation that was felt when staring at the squat rack prevented me from ever approaching it. I was always active. Played in soccer leagues and enjoyed other sports in school teams. Then I joined a gym – going 2-3x a week – but was bored after a couple of years of routinely using the same weight/cardio machines and doing the same weight training sets. 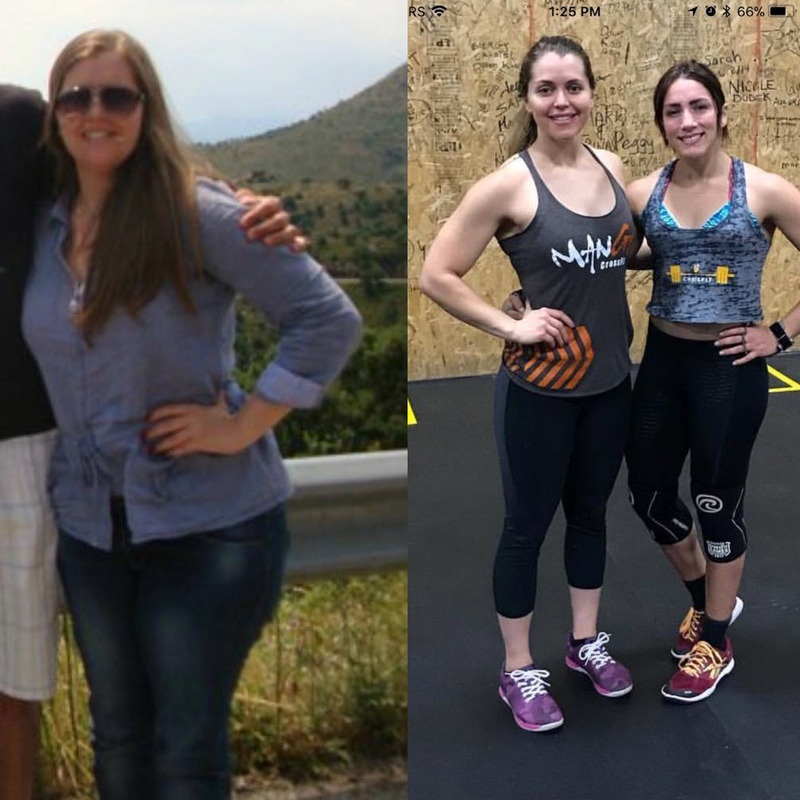 I needed something more challenging – that’s when I discovered CrossFit. Initially started going 3x a week and I loved it! Lost some weight and improved on my fitness, but I still wanted to improve how I felt during and after “fitnessing”. 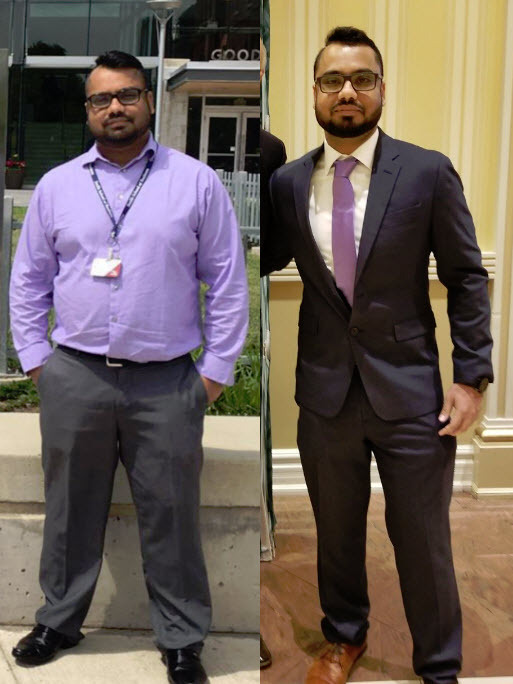 Started going 4-6x a week while making small nutrition choices (which included cutting out bread for a couple of weeks) that completely changed how I felt and looked. While CrossFit has helped me improve in health and physique, I have also gained new friendships that will last a lifetime. CrossFit Streets has a “welcome home” atmosphere which is a HUGE reason why I am where I am today. Thank you CrossFit Streets for opening your doors to me and helping me improve my fitness journey. Looking forward to what’s ahead! 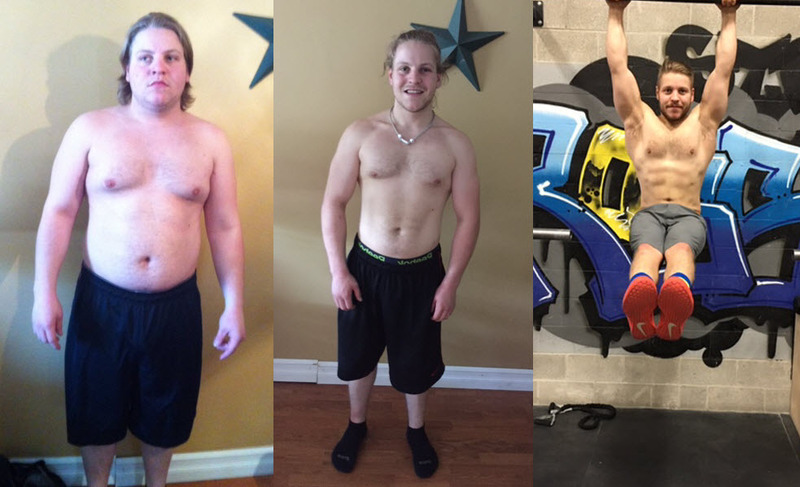 CrossFit helped me stay motivated, joining CrossFit made me more strong, lean and way more conditioned. Did things I never would have done by myself, it has made me think different and feel different about fitness. CrossFit has made me come closer to my goals and made me realize I can achieve the unthinkable. 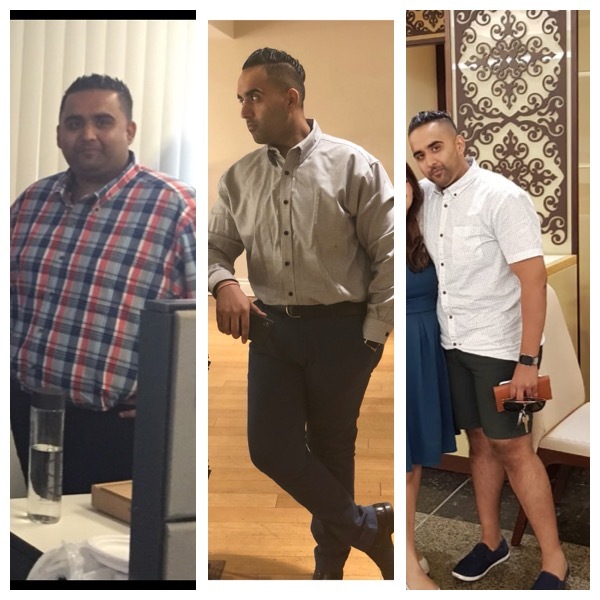 Last 10 months with CrossFit Streets have changed me as an individual, and I am proud of what I have achieved under the watchful eyes of excellent coaches/trainers. My lifestyle was very inactive since I immigrated to Canada back in 2008. Working two jobs with Full-time School, I had no time to focus on my health and fitness. As a result I went from 160 lbs. (2008) to 220 lbs. (Early 2017), sadly pure fat not muscle. A young graduate, embarking on a professional career, I always felt something was missing, and the answer was HEALTH/FITNESS. I remember the days when walking a block seemed a stretch, going down on my knees to grab something from the bottom shelve of the fridge felt like getting up with a heavy rock in your hand. All these years I always had a gym membership but I can only recall going to gym maybe twice in 9 odd years. I felt it was time, and I had to do something. With my busy schedule, I knew I would never make it to gym on my own to stare at weights/machines wondering what to do, and then I came across a term ‘CrossFit’. Completely new to the concept, I researched for a week and found out about a local CrossFit box close to my house ‘CrossFit Streets’. One thing that attracted me the most at that time about CrossFit Streets was the 8 classes ‘On-ramp’ program they have for beginners. Yes I was a beginner and I needed help, next thing, I walked in and spoke to a coach (March 2017). Today, I am 50 pounds lighter and most importantly I am HEALTHY/FIT. My body can do things now that I could not even imagine doing before. I can run 10K. Yes you read it right; I am the same person who used to lose his breath walking a block 10 months ago. I can do power lifting, I can do gymnastic movements and none of this would have been possible without the Streets family. It was all step by step. Dan, Tarah and their team of coaches were always there to guide me. CrossFit Streets is not just regular gym on the street, it’s a family. We work out together, encourage and feel happy for each other’s achievements every single day. Honestly, I am addicted and look forward to working out every day after work. No matter how my day went, that one hour at the box is my time. Every movement I can now do was work in progress at some stage, and the coaches were always there to guide me and make me the individual I am today. Last thing I am going to say is that you will hear/read that weight lifting and compound movements are dangerous and one should perform them safely. I agree one should perform them safely, but NO they are not dangerous. With guidance, hard work and dedication you can achieve these movements, and that is what you get at CrossFit Streets. Midway through my 1st year at university I weighed 249lbs. I was playing football and figured it was ok to have a little extra weight on. I have always been active and in good shape, but at this weight I was finding even simple daily tasks were becoming hard. I was not motivated to workout or even play football anymore. I became so lazy that I didn’t go to classes if they were across campus. I ate out almost every meal and rarely ate anything healthy. At the end of the school year I finally became fed up with they way I felt and looked. I started working out and cooking my own meals with a roommate who was in I similar situation. As the weight started coming off and my fitness level increased, I began to feel more like myself again. Tasks slowly became easier and I had way more energy and motivation. I eventually became a trainer at the gym I was working out at and feel in love with helping others find themselves again through working out and eating right. 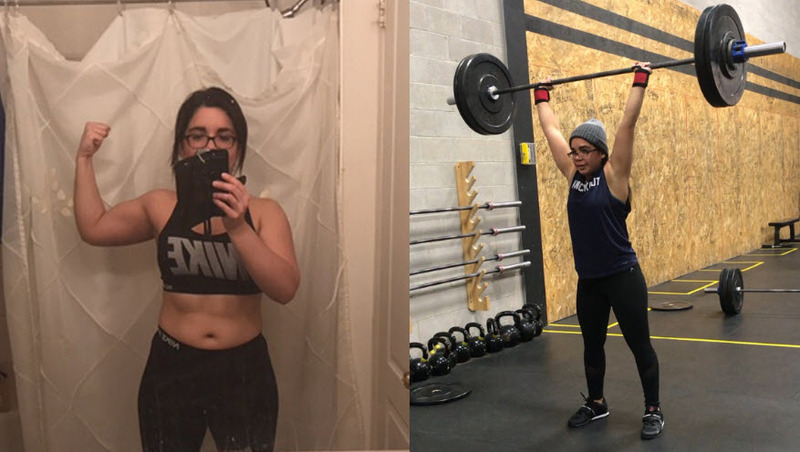 I stumbled across CrossFit a few years later and instantly fell in love. It has taken my fitness to the next level and is something I will do for the rest of my life.